British oceanographers from the University of Southampton believe the mystery of the Bermuda Triangle has been busted. After an investigation lasting decades, they’ve concluded that ships are being sucked into the ocean by “rogue waves” over 30 metres in height. 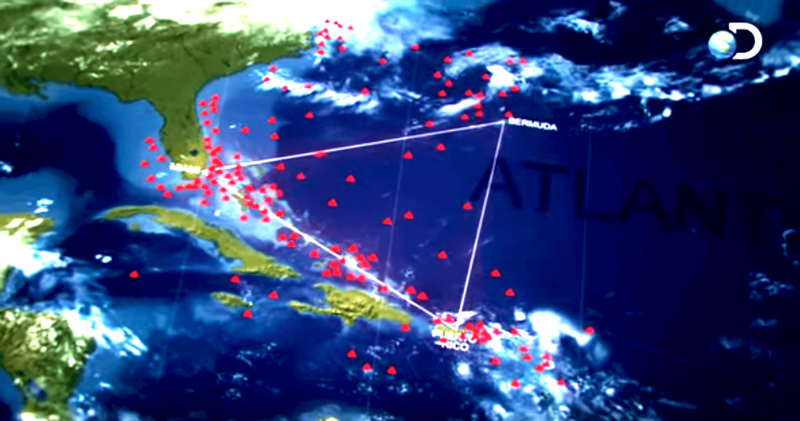 The Bermuda Triangle, also known as the Devil’s Triangle, is a stretch of water between the southernmost tip of Florida, Puerto Rico, and the island of Bermuda to the north. The Triangle has featured in the public imagination since the early 1900s, when media first started running reports on the area’s unusual tally of shipwrecks. An article in The New York Times claimed that over the past 500 years the Triangle has claimed at least 50 ships and 20 aircraft. Dozens of theories have been offered over the years, but this latests one involving waves was first proffered in 1995, when a freak wave of 18.5 metres was measured in the North Sea by satellites. The so-called Draupner Wave was the first time scientists had recorded a “rogue wave,” at a time when rogue waves were considered just as mythical as the Bermuda Triangle. So what are rogue waves? Basically, they’re abnormally large and unexpected waves in open sea. According to a study on Freak Waves, a standard-issue large wave of around 12 metres will have a breaking pressure of 8.5 psi. Modern ships are designed to tolerate a breaking wave of 21 psi, but a rogue wave can deliver a crushing 140 psi, grossly exceeding the limits of what ships are expected to tolerate. His team re-created the intense surges of the 30 metre waves by using indoor simulators. Then to see what such a wave would do to a large ship, they built a model of the USS Cyclops, a carrier that went missing in the Bermuda Triangle in 1918 and claimed the lives of 309 people. “If you can imagine a rogue waves with peaks at either end, there’s nothing below the boat, so it snaps in two. If it happens, it can sink in two to three minutes,” explained Dr Simon Boxall. Australian celebrity scientist Dr Karl Kruszelnicki would seem to agree that big waves explain the so-called mystery of the Bermuda Triangle. Also, he noted that the Bermuda Triangle, which is one of the most heavily trafficked parts of any ocean, doesn’t actually see a statistically unlikely rate of disappearances. “According to Lloyds of London and the US coast guard, the number of planes that go missing in the Bermuda Triangle is the same as anywhere in the world on a percentage basis,” Dr Karl told News.com.